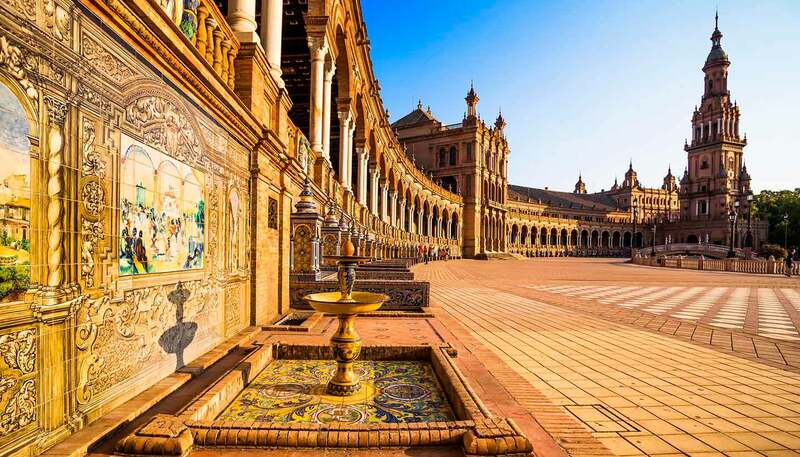 Filled with charming traditional architecture, Andalusia’s atmospheric capital Seville is a world of larger-than-life festival celebrations and flamboyant cultural arts; a romantic, feisty, passionate city. In its historic quarters, the bullring looms over Rio Guadalquivir. Traditional horse-drawn carriages still amble around the city, clomping alongside the city’s sleek new metro system. Such is Seville - a hybrid of contrasts visible at every turn. Visitors marvel at the impressive Plaza de España or get lost amongst the laneways of Santa Cruz. Over the bridge, the old gypsy district of Triana is now hip and vibrant, containing the city’s best nightclubs and retaining its rich flamenco culture. Seville is the place to see Spain’s most famous dance, with numerous tablaos (flamenco clubs) offering a variety of performances. It also has the Flamenco Museum if you’re feeling inspired. While traditional Andalusian taverns are still rife, Seville is currently undergoing a tapas revolution. New gastrobars dish up mini fajitas, tiny burgers and crispy tempura, all presented in innovative ways. Once full, party with the in-crowd at Plaza Alfalfa and Tiana’s Calle Betis, sip sangria in leafy plazas or soak up the Sunday afternoon solitude along the riverbank or in the Parque de Maria Luisa. Swoop on the numerous museums and megalithic monuments, but don’t miss the city’s Moorish past at the ornate Real Alcázar palace, the Torre del Oro (Tower of Gold) and the famous La Giralda tower, which offers stunning views across the city. Seville is a city for all seasons, with lots going on throughout the year, but try (if you can bag a room) to catch some of the city’s most famous festivals. Go in spring to see the mournful, yet impressive processions of Semana Santa as well as the vivacious fiestas of La Feria de Abril. A celebration of everything Seville holds dear (flamenco, horses and bullfighting), the Feria is the city in a nutshell.